Slip into something special in the contemporary L1750 from Rieker®. Supple leather upper with off-colored trip and detail stitching. A side zipper guarantees effortless on/off wear and a customized fit every time. 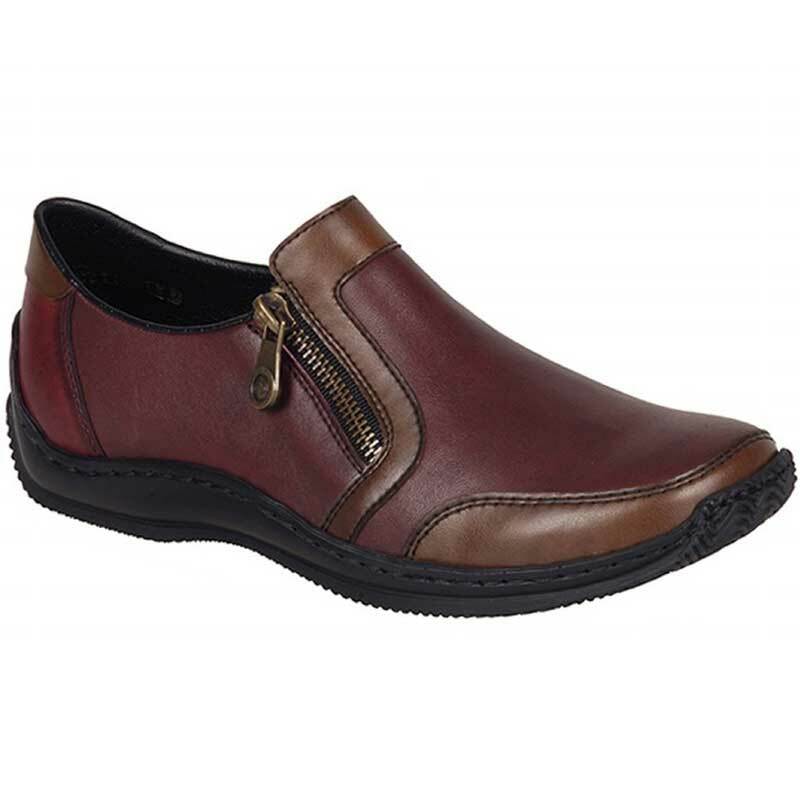 Soft leather lining conforms to the foot and wicks away moisture to keep you dry. Leather insole provides cushioning and support in order to reduce fatigue. Durable synthetic outsole maintains traction and grip and helps your stride remain steady. I love Rieker shoes-- this is the 4th pair I own. They are stylish, very comfortable and provide sufficient room in the toe area so that my toes aren't constricted. I have narrow feet and the shoes are perfect!